Price isn't the only thing when it come to getting your SpinTek products, experienced customer service is priceless! 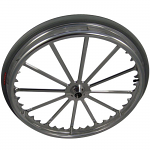 SpinTek Wheels make a great addition for the performace value of your wheelchair, so look to SpinTek and discover a smoother ride. 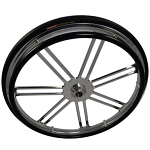 Sportaid is a top trusted online retailers for wheelchair rear wheels, so pair that with a trusted brand like SpinTek, and you have a recipe for victory. 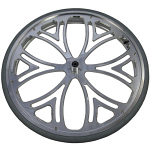 Our collection of Rear Wheels from SpinTek is home to SpinTek Cyclone Aluminum Billet Wheels, SpinTek Fusion Aluminum Billet Wheels, SpinTek Phoenix Aluminum Billet Wheels, and many more. Call 1-800-743-7203 for help choosing the right product for you. You'll be glad you did! 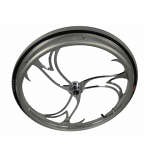 Get the best deal on SpinTek at Sportaid with up to 12% savings!